If you have rented a car in Europe or the United States, you are probably used to renting from companies like Hertz, Budget, or Enterprise. You walk up to the counter, sign your life away, and then drive off in your new-smelling midsize sedan. 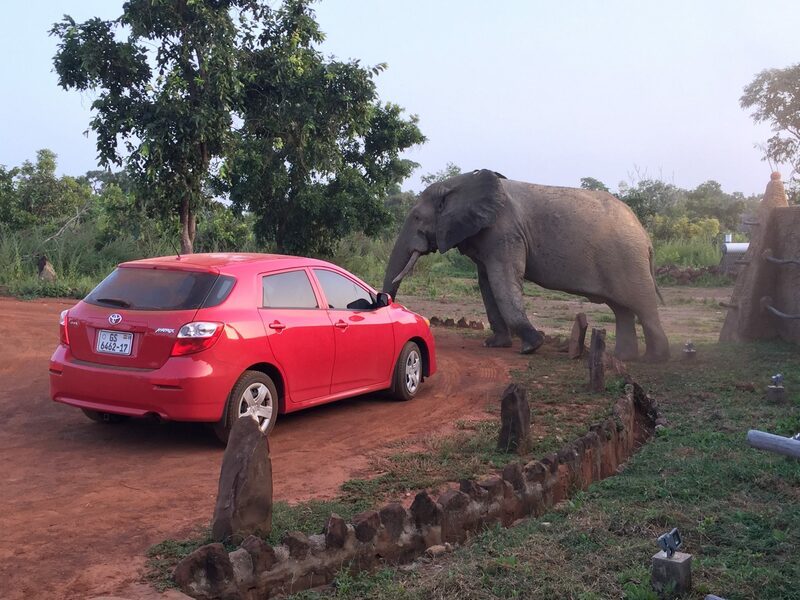 Rental cars in Ghana are a completely different experience. To help out our tourists who have never rented a car in Ghana before, we have provided our Ghana car rentals frequently asked questions. We hope this will answer all of your Ghana car rental questions! Are there any self-drive car rentals in Ghana? In short, no. While you might be able to find someone who will let you drive their car without a driver, nearly every rental car in Ghana will come with a driver included. This is one of the reasons why you won’t pay any additional cost for insurance. This is perhaps the biggest difference between rental cars in Ghana versus car rentals in Europe or the Americas. Why can’t I drive my own rental cars in Ghana? Road accidents in Ghana are more frequent than in the United States and Europe, and the reliability of car insurance is limited. Luckily, the low cost of labor allows for rental car companies to employ trustworthy drivers to take care of their rental cars in Ghana. 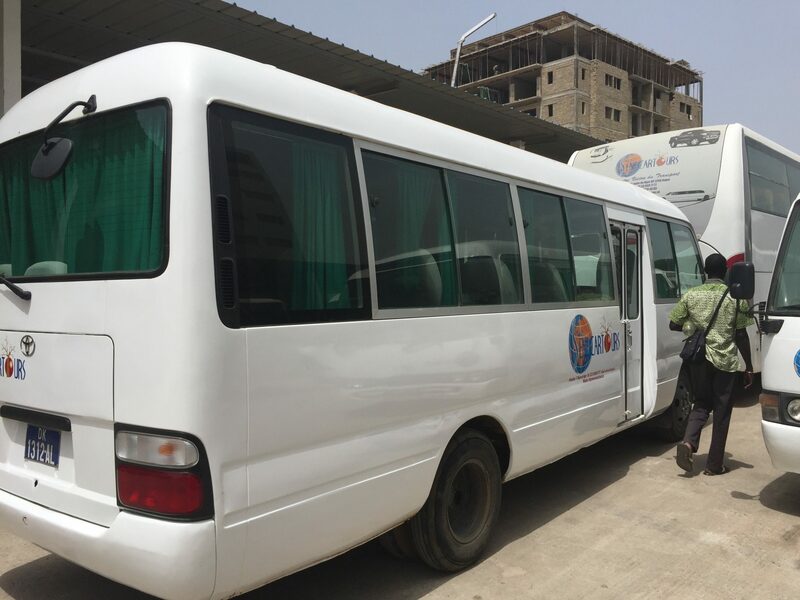 While many people find this frustrating, most tourists will find that their Ghana car rental experience is superior to those elsewhere, because they can sit back and relax without having to worry about driving directions, getting lost, or taking care of the rental car. It is not required that you purchase any collision insurance when you rent a car in Ghana. Because your car will come with the driver included, the car rental company will be held responsible for any accidents or damages to the vehicle. This is one of the reason that renting a car in Ghana is a more renter-friendly experience than in the rest of the world. So, where does my driver sleep if I rent a car in Ghana for more than one day? The company that you rent from will provide your driver with a daily allowance for food and accommodation. Occasionally, hotels in Ghana will provide accommodation for drivers, but drivers will usually find inexpensive accommodation near to where you are staying. Your rental car driver will stay with you as late in the night as you require, be sure to get your driver’s phone number in case you need your car in the middle of the night! Should I rent a 4×4 in Ghana, or should I rent a small car? Before choosing a rental car in Ghana, be sure to ask the rental company about road conditions in the area where you will be traveling. 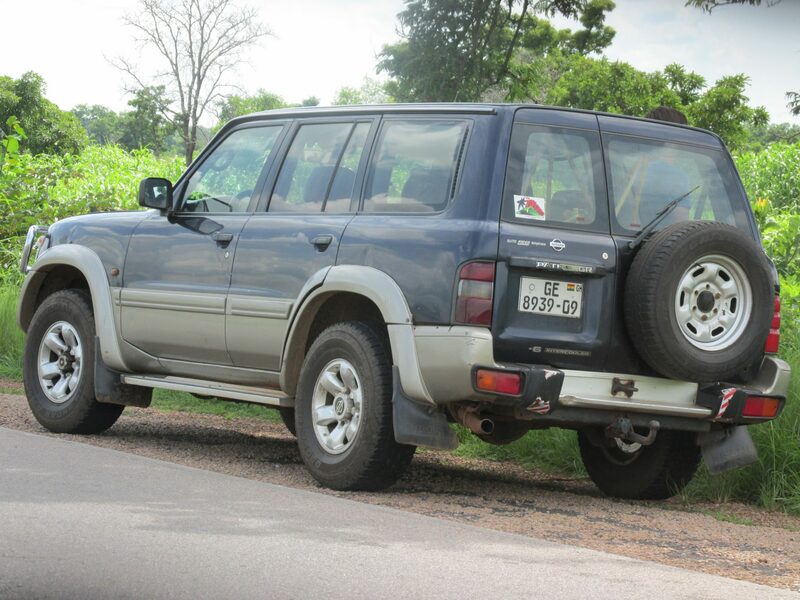 Many roads in Ghana are suitable for smaller vehicles, but often you might be more comfortable if you rent a 4×4. Most 4x4s have an optional third row of seats, which would allow you to accommodate more than four passengers and a driver. This is not an option in saloon cars, which can accommodate a maximum of four people plus the driver. If you are looking to rent a car for a larger group, most companies will offer 15-passenger vans or 25-seat coaster buses. Do I need to tip my rental car driver? Rental car drivers in Ghana are usually compensated fairly and receive allowances for their daily expenses while working. Tips are always appreciated, however. Dollars and Euros go a long way in Ghana, and even a small tip will go a very long way for a driver and his family. 15 Ghana cedis per day is enough to make your driver happy. Can I take my Ghana car rental to another country? If you intend to take your Ghana rental car to another country, be sure to inform the rental car company in advance. 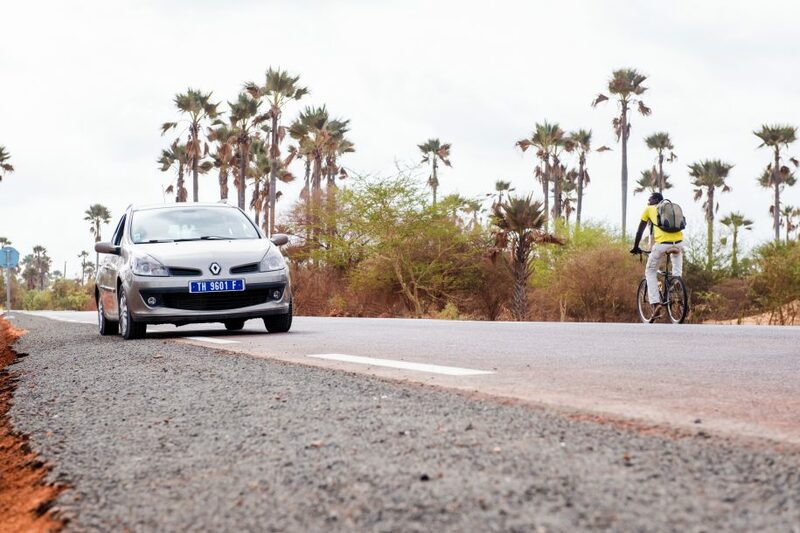 Most rental cars in Ghana will have the proper documents to travel outside of the country, but many smaller car rental companies in Ghana will not have the necessary documents for vehicles to travel in neighboring countries, like Togo, Benin, Burkina Faso, or Ivory Coast. You will also want to make sure that your driver is prepared to navigate a foreign country! Some drivers will have experience driving in neighboring countries, while others may have never left Ghana. I keep seeing “saloon car” and “salon car” options on various car rental sites. What are those? If you aren’t accustomed to British English, you may have never heard of this term. For those of you who are used to American English, a saloon car is a sedan. In much of West Africa, the term has been shortened or misspelled as “salon car,” which is why you may see both spellings on various websites.